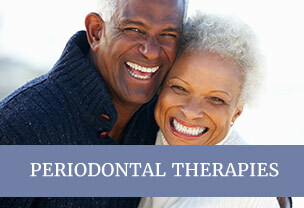 Welcome to Periodontics and Dental Implants of Roswell, the home of dental specialist Dr. Karl Heinzelmann. Our practice, backed by cutting-edge dental technology, provides top quality periodontal services and dental implants for Alpharetta and the surrounding communities of Milton and Johns Creek. Whether your smile has been compromised due to periodontitis or you’re looking for implants to replace missing teeth, Dr. Heinzelmann can restore your dental health. Because of his reputation as an expert in the field of implantology, Dr. Heinzelmann receives many referrals for dental implant placement from Roswell and Alpharetta’s top dentists, as well as from Milton, John’s Creek, and the entire Northern Atlanta area. 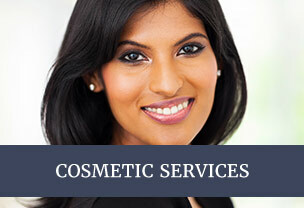 However, we always welcome patients who come to us directly – No referral needed. Our success with dental implant placement is due to Dr. Heinzelmann’s skill and experience combined with his ability to utilize our 3D cone beam CT scanner to develop a customized treatment plan. This technology and its use for highly predictable 3D implant treatment provide excellent results time and time again. 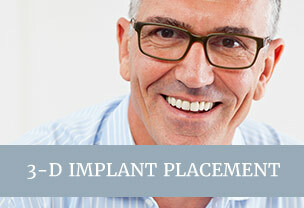 The technique of guided implant placement is a superior method of placing implants in the precise location necessary for proper implant restoration. The technique consists of using our 3D Cone Beam CT Scan to digitize the jaw, perform a virtual surgery on the computer model, and then using a 3D printer to fabricate your custom template for precise implant placement. Our specialist has dual degrees in both Periodontics and Fixed Prosthetics which makes him uniquely qualified to diagnose and develop treatment plans for all implant cases from simple to the most complex. His background also allows him a thorough understanding of all aspects of surgical implantation as well as the perspective of the referring Dentist or Prosthodontist. The goal of our practice is to provide exceptional care that inspires confidence. This commitment is backed by Dr. Heinzelmann’s skillful management of complex periodontal and restorative concerns. When it comes to handling involved dental cases, he is a true professional. He is often able to correct oral health problems that have left other area dentists discouraged. Our entire team shares a passion for helping patients. We thoroughly discuss all aspects of your treatment plan before we move forward, forming a true partnership where you feel well-informed about your options and in control throughout your care. Due to the comprehensive approach we take, we ensure aesthetically-pleasing results and the enduring health of your smile. When you come for your visit, we invite you to strike up a conversation with us. We enjoy getting to know patients and building relationships based on more than treatment recommendations. The atmosphere at our office is warm and friendly, and we prioritize making each visit a positive, stress-free experience. Whether this means offering sedation or simply our undivided attention, we work with you to make sure you’re relaxed and comfortable. For more information about expert gum disease treatment and high-quality dental implant services in Alpharetta, call Periodontics and Dental Implants of Roswell today.